As humans, our relationship with sugar has changed dramatically in the last 100 years. 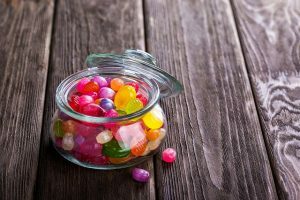 Rather than being an indulgent treat for a special occasion, it’s become an everyday thing… with many of us using fast foods and sugary treats to replace real food in our rapid paced lives. Since when did sugar become so normal? Did you know that the average person in the UK now eats over 30 teaspoons of sugar per day… over 100 years ago it was around 3 teaspoons per day. You may be saying, “But I eat nowhere near that amount!” But in my experience, so many people are surprised to learn that they actually eat a lot more sugar than they thought! It’s something I cover in the very first day of my free five day sugar detox. Sign up and you can watch the video in just minutes! 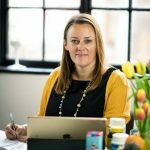 I know, I know… we’re hearing so much about sugar these days… but please bear with me… because I want to talk about some important issues when it comes to sugar, and particularly how to cope with the constant onslaught of sugar for parents. The sugar debate has really been brought to the spotlight again with the recent introduction of the sugar tax in the UK. In my view, taxing fizzy drinks is not enough. We have to go so much further to protect ourselves and our families from the dangers of sugar and junk food… so that we can de-normalise sugar on a national scale. Most of us know why sugar isn’t good for us, but let’s just recap the top three reasons. Sugar causes our teeth to rot. The number one reason for hospital admission for children of primary school age in the UK is tooth extraction. Sugar makes us put on weight. Now I’m not against us all being different sizes (and I’m certainly not a size 8 myself! ), but being overweight does put your health at risk, and it’s the sugar and white carbs in our diets which are really the problem (not the amount of fat we eat). Too much sugar is addictive. It can rob us of our energy, raise our risk of type 2 diabetes, imbalance our gut bacteria and may even compromise our immune systems… shall I go on? How can we de-normalise sugar? We live in a society where it’s normal to eat sugar. I’m such a big fan of the Jamie Oliver campaign going on right now, in a bid to reduce advertising of junk food to our kids. If kids hear fun and positive messages about sugary foods, surely they are going to want to eat them? When we go to the supermarket, my husband always remarks how we look like the odd ones out for having real food in our trolley and not endless packaged and processed food. As a parent, I also feel the odd one out because I don’t bring candy or a chocolate bar for my kids after school. I’m the odd one out because my kids don’t have a chocolate biscuit in their lunch box every day (they do sometimes, just because I’m trying to find a balance that they are happy with and don’t feel left out with their friends). I’m the odd one out when we go to the park and my kids are eating fruit or vegetable sticks, instead of sweets and cake. And if I want to find food products which are healthy but look like foods their friends are eating, I have to pay 2 to 3 times more for it. Is that right? Now I’m not saying I don’t ever let my kids have those things… I think it’s certainly important not to demonise unhealthy foods and I certainly believe in moderation (although the kids know I draw the line at blue slushies!) Of course there are also many other parents who DO give their kids plenty of healthy food. Yet it’s not the norm… I know as parents we can only do our best, and it can be tricky when our children are fussy eaters. But there has to be a nationwide re-education programme about what’s healthy and what’s not. In my experience, even highly intelligent parents are confused about what they should be feeding their kids. It’s certainly what a lot of my clients tell me and was one of the driving reasons behind the creation of my online children’s nutrition course How to Help Your Kids Live to 100. The truth is we have to stop giving mixed messages to the next generation. We can’t tell children at school that they should be eating more fruit and vegetables and reduce their sugar intake… but then allow them to have strawberry milk at lunchtime or make every social occasion an opportunity to gorge themselves on unhealthy junk food and sweets. Kids don’t need to have a dessert or packet of sweets or chocolate every day. I remember when I was a child, it was a once or twice per week thing… and we’d go and choose our favourite sweets or chocolate at the local shop. It was such an exciting trip and definitely not every day. I know this post may spark some mixed views… I am certainly not writing this to judge anyone, make any parents feel inadequate or like they’re doing a bad job. Sometimes life can get so busy that all we can do is our best just to get through our busy days, get a meal on the table and keep the kids happy. I get that. Sometimes my life can be hectic too, and I’m certainly not at home all day spending hours preparing food for my kids. But I want to help everyone understand more about the connections between what we feed ourselves, our families and our long term health. We need to make a stand, say enough is enough… support people like Jamie Oliver, Dr Chaterjee and other trail blazers who are trying to make policy makers understand that they have a duty to properly protect the next generation. I really hope that we’ll be seeing a different story by the time I have grandchildren, and they will be born into a world where everyone recognizes the power of food to make us feel good. Would you like my help to start cutting sugar without complicated cooking, spending a fortune or living on lettuce leaves? 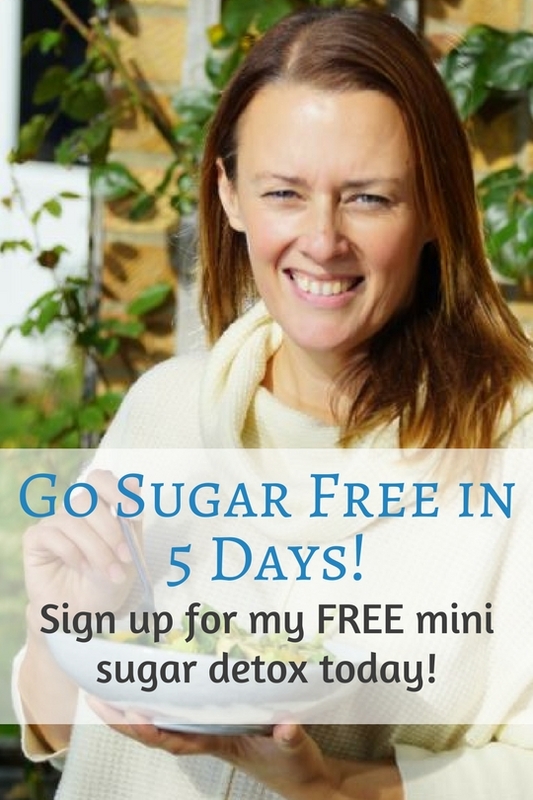 Sign up for my totally FREE five day challenge – Sugar Free in Five Days and I’ll share some of my best tips, advice and recipes for freeing you and your family from sugar forever! Find out more here.